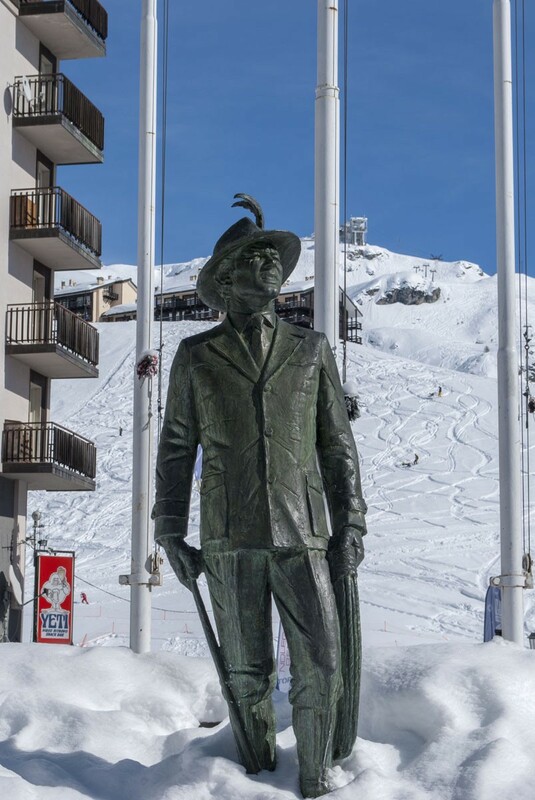 Elite Holiday is a company dedicated to providing luxury services to the more discerning holiday maker in the most important ski resorts in the Alps. Bring your skills (or luck) to the poker, roulette and blackjack tables of the nearby casinos. ????????? ???? ???? ?, ??????? ????? ? ??????. ??????? ??? ??????? ??????????? ??????????? ????? ??? ????? ???? ?????? ????, ? ??????? ?? ??? ?? ????? 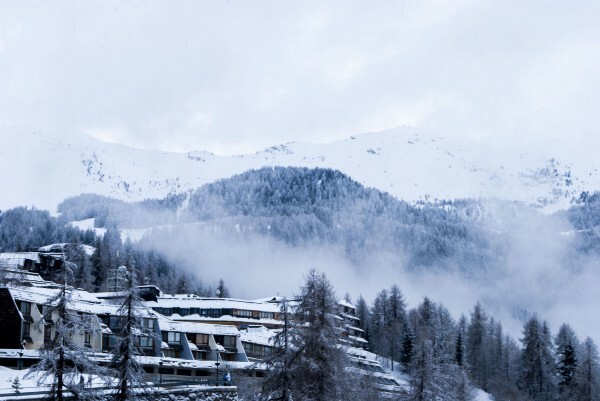 We work with luxury hotels and chalets in the most important ski resorts in the Alps. 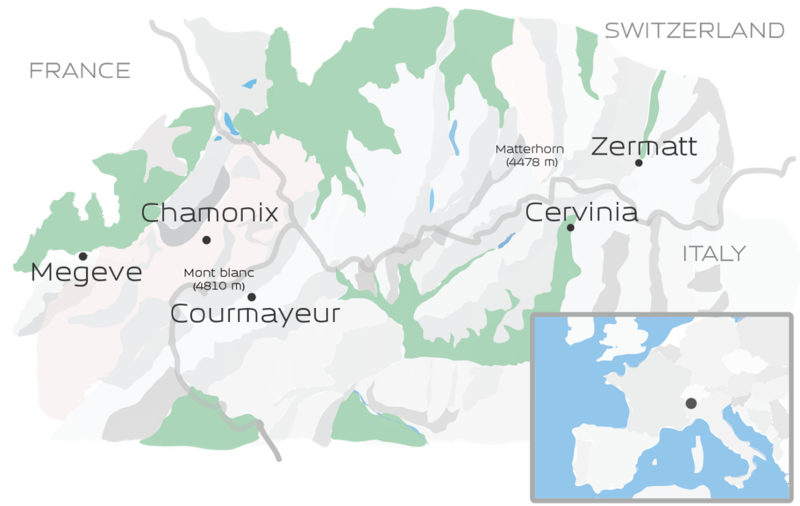 Courmayeur, Chamonix, Megeve, Cervinia, Zermatt. Мы работаем с отелями и шале в самых важных горнолыжных курортах Альп: Курмайоре, Шамони, Межев, Цервинии, Зермате. 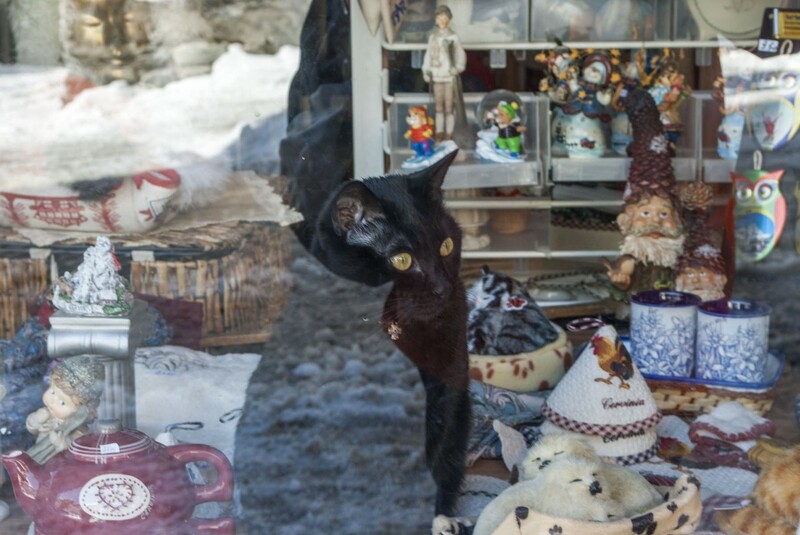 Born in Aosta and lives in the town. He speaks fluent italian, french, english and russian. 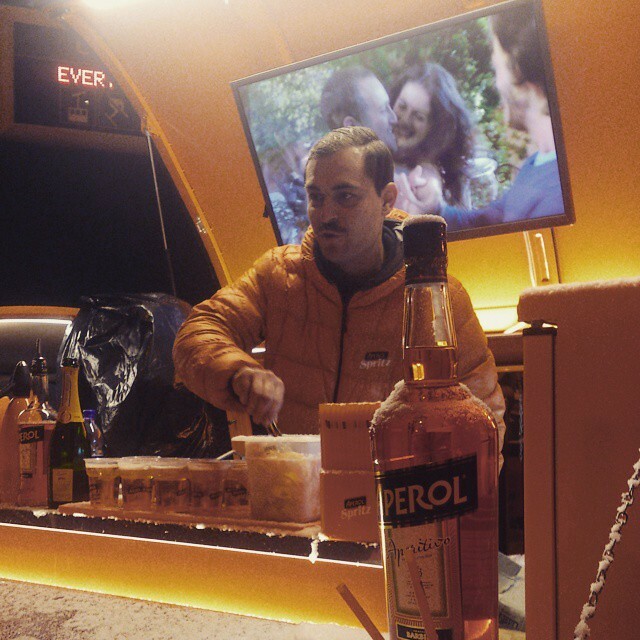 Since 2007 he is ski instructor and for several years he works in the largest ski school in Italy. 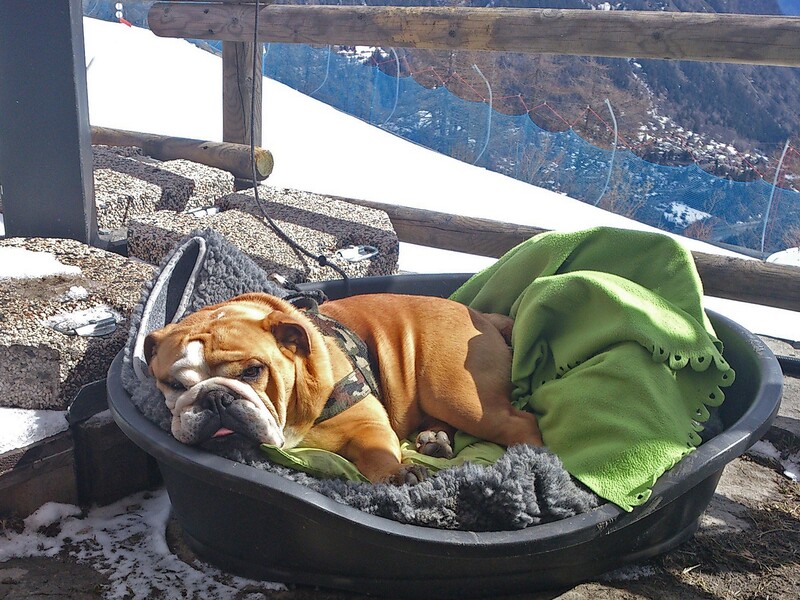 Born in Flaine and lives in Chamonix. She speaks fluently french, english, russian and spanish. 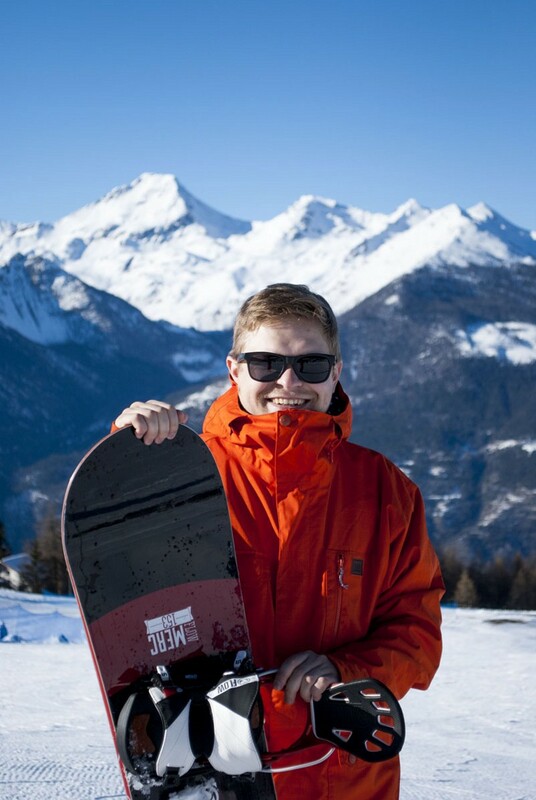 For 7 years has been in the Snowboard French National Team. 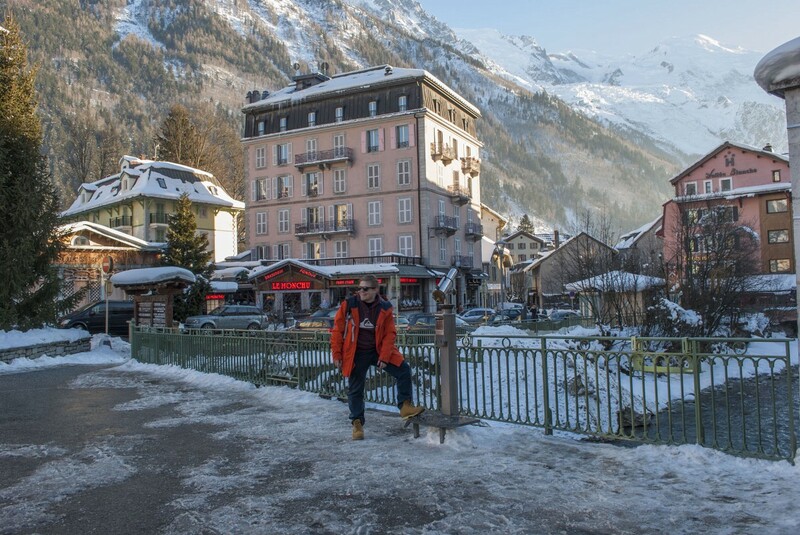 Born in Aosta and lives in the town. He speaks fluent italian, french, english and russian. 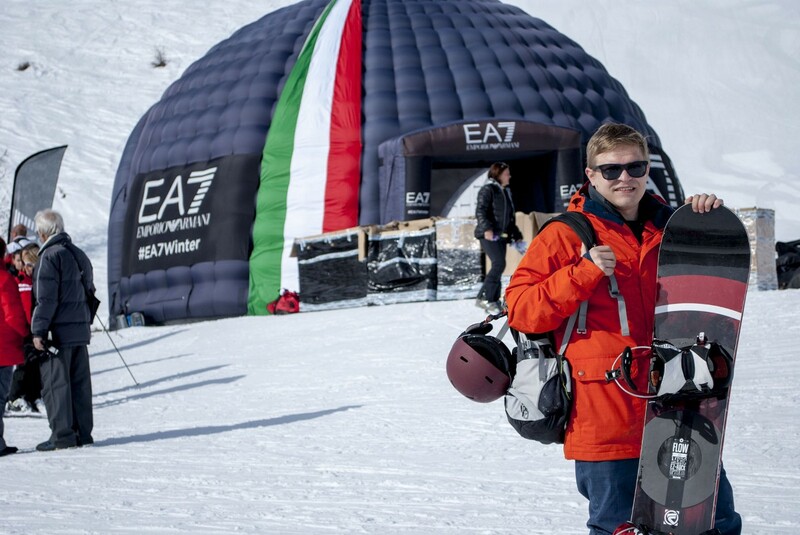 Since 2007 he is ski instructor and for several years he works in the largest ski school in Italy. 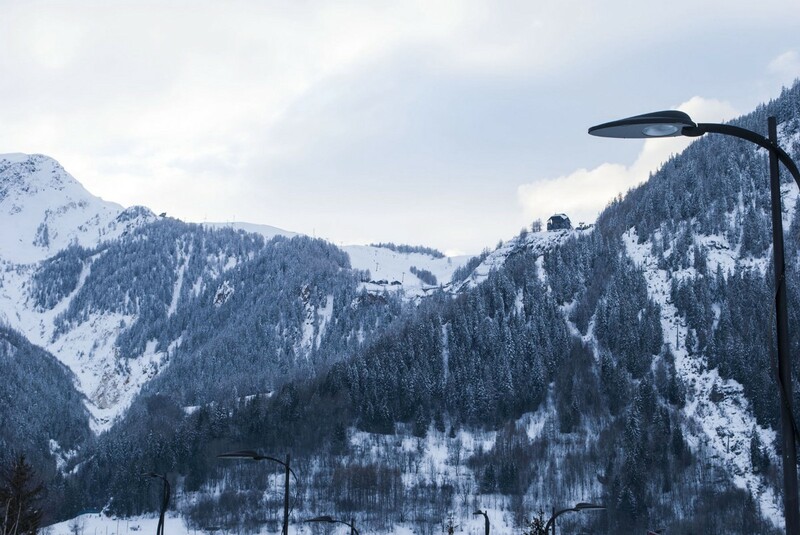 Competed all over the world, in Freeride and Skicross worldcup competitions. In 2010 he established Elite Holiday. Родился и живет в Аосте. 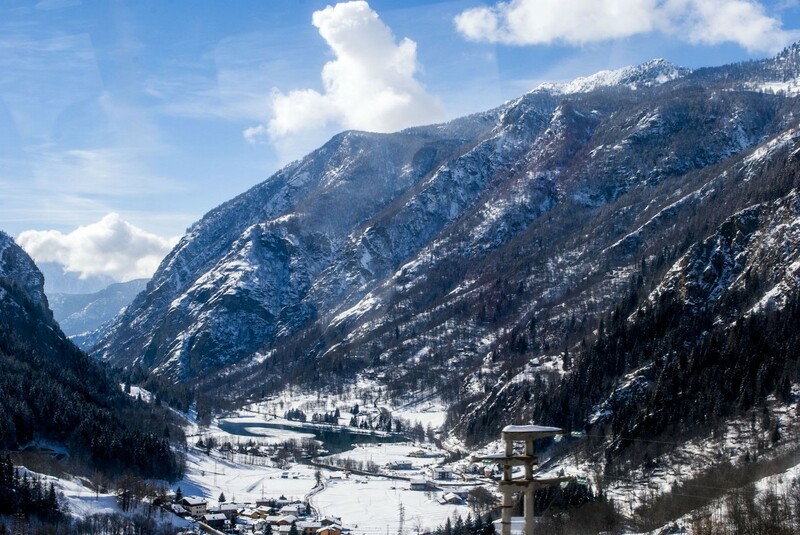 Говорит на итальянском, французском, английском и русском. Высококвалифицированный инструктор по горным лыжам с 2007 года, на протяжении нескольких лет работал в самых крупных горнолыжных школах в Италии. Участвовал вмеждународных соревнованиях по фристайлу и фрирайду. В 2010 основал Elite Holiday. 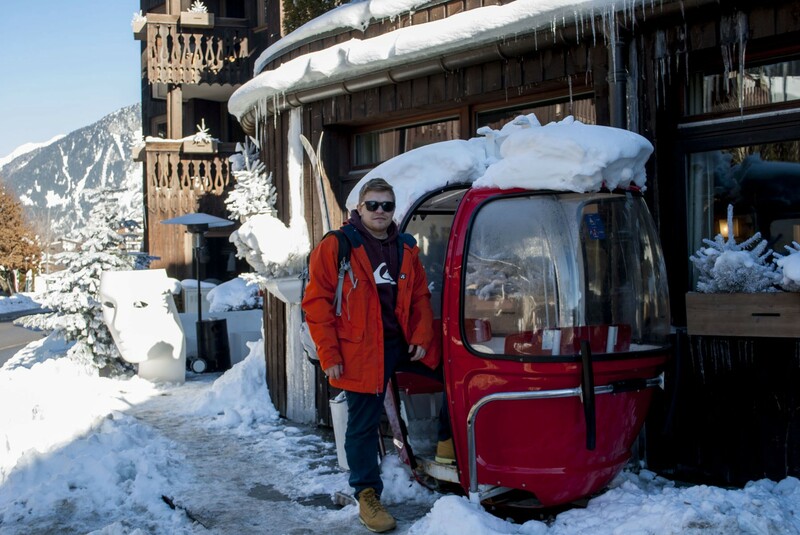 Born in Flaine and lives in Chamonix. She speaks fluently french, english, russian and spanish. 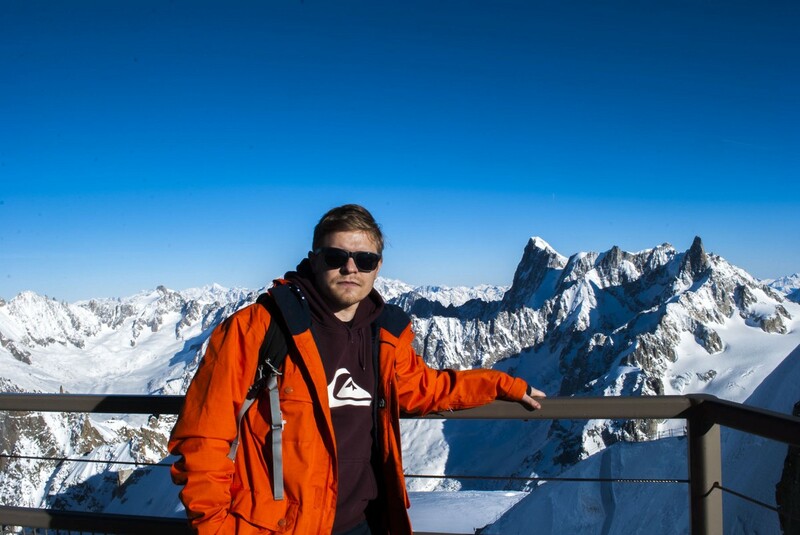 For 7 years has been in the Snowboard French National Team. In 2003 won a bronze medal at the Snowboard World Championships. 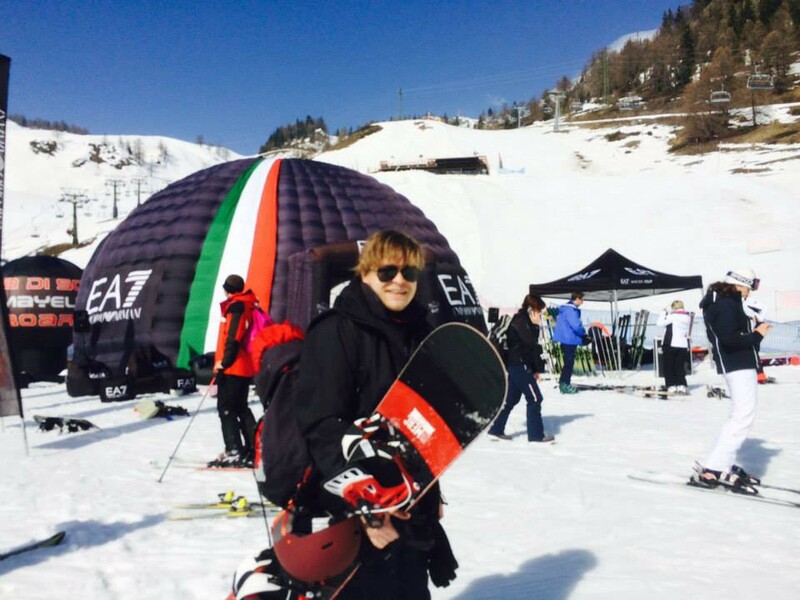 Since 2002 she is ski and snowboard instructor. Родилась в городе Флейн, а живет в г.Шамони. Она свободно говорит на французском, английском, русском и испанском языках. В течение 7 лет состояла во французской национальной сноубордической команде. В 2003 году завоевала бронзовую медаль на чемпионате мира по сноуборду. С 2002 года она является профессиональным инструктором в области горнолыжного и сноубордического спорта. Making user interfaces with passion. Flying in a hot air balloon is an amazing experience that offering breathtaking views and a feeling of freedom which is totally unique. ????? ?? ????????? ???? - ??? ??????????? ?????????? ?, ??????????? ??????????? ????? ?, ?? ??????? ??????????? ???, ? ??????? ?????????? ??????? ???????. ????????? ???? ???? ?, ??????? ????? ? ??????. ?? ?????? ??????? ?????? ? ?.???-??????? ? ????? ?\\\\\\\'????? ??? ?????? ? ?.?????? ?? ???????. 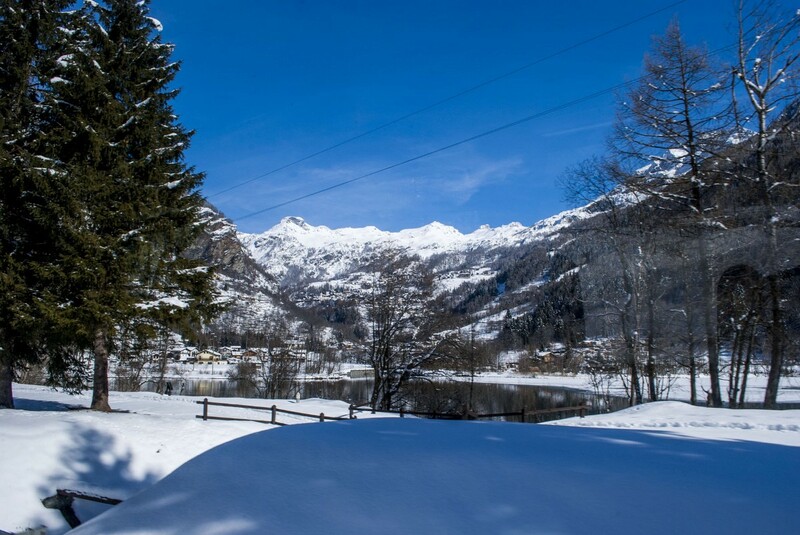 To make any winter holiday even more exciting, there is a great ice-karting track, on natural ice in the Valley. 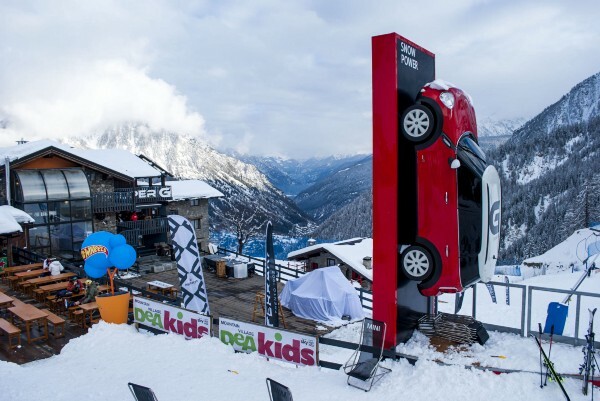 Put yourself in one of these karts and experience the exhilaration, laughs, thrills and slides as you drive on tracks of sheer ice. Laps are timed, so racing with family and friends can become very competitive. ????? ??????? ??? ????? ??? ????? ?????????????, ? ????? ??????? ??????? ?? ????. ???? ?? – ???????? ??????? ?, ?????????? ??? ??????????? ? ?????? ???????????? ? ???????? ??????????? ????????????? ???? ????????? ???? ?? ?? ????! ?? ?????? ????? ??????? ????? ????? ??????? ? ??????????????? ?? ?????. 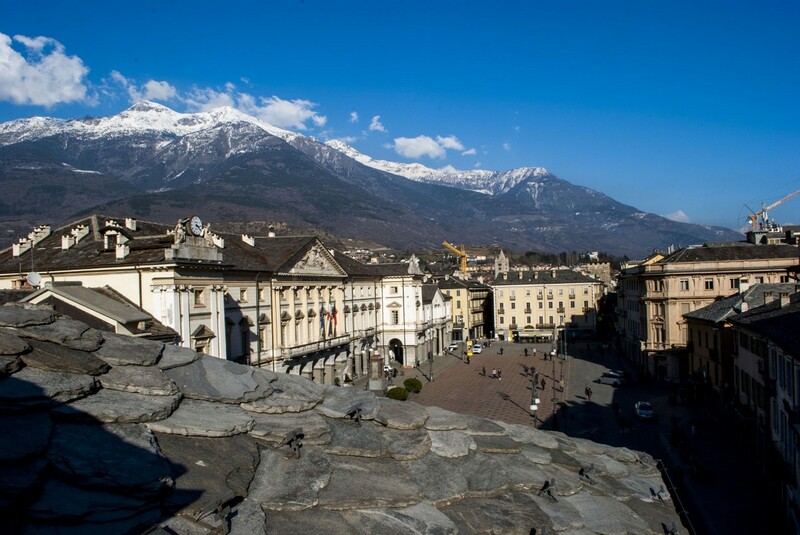 Aosta Valley is the small region of Italy with large amount of medieval castles which are located in the shadow of the highest peaks of the Europe: Mont Blanc, Matterhorn, Monte Rosa. 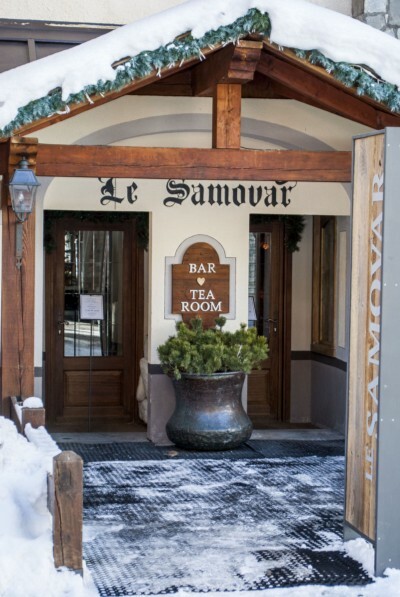 If you like the flavor of the mountains, the flavor of the excellent Italian wine and cheese you will also like this place. I live in Minsk, Belarus and there we have no mountains, just lakes, forest and fields, and some hills. 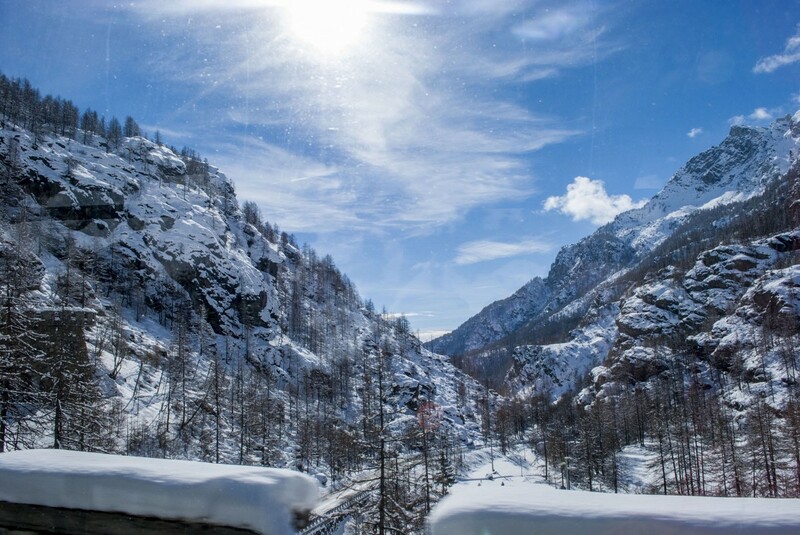 When I come to the Aosta Valley at the first time I love the terrain, which was so extremely different from what I used to see, the variety of different textures and surfaces, the majestic calm and power of mountains. 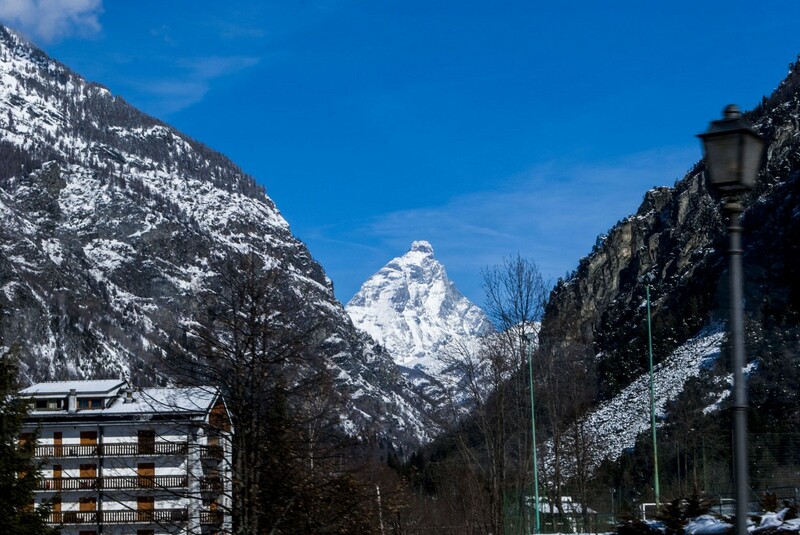 May be you have to born on the flatland to really love the mountains ?. 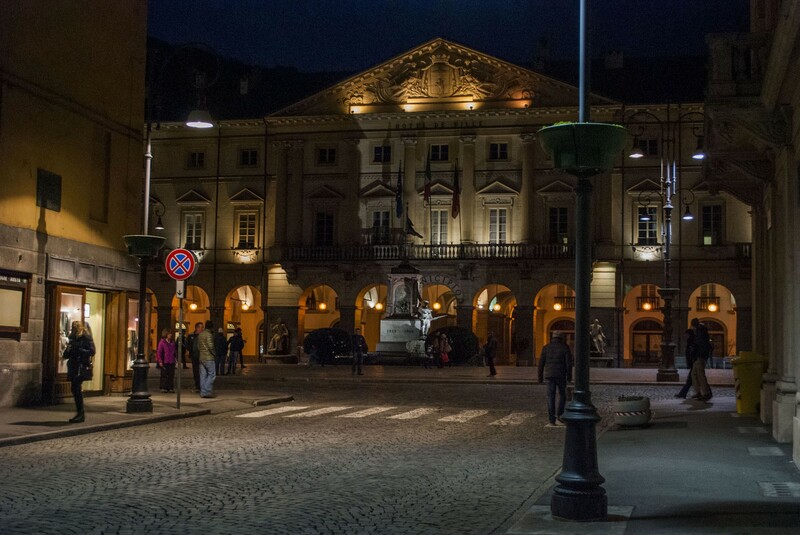 In Aosta I stayed in the excellent place?—?Lo Solan BnB. 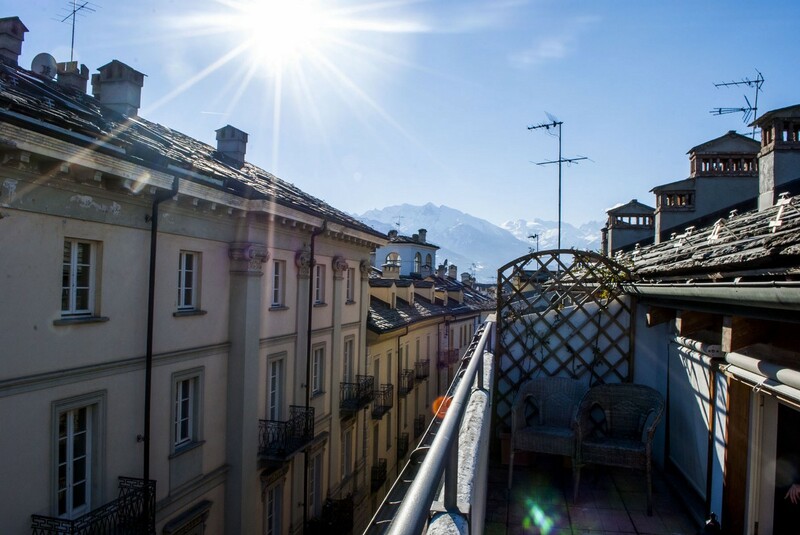 It has great terrace with nice view on the mountains. And at the other side of the terrace is the view to the Chanoux Square. The roof they made of the real stones. Seems that it’s slate. 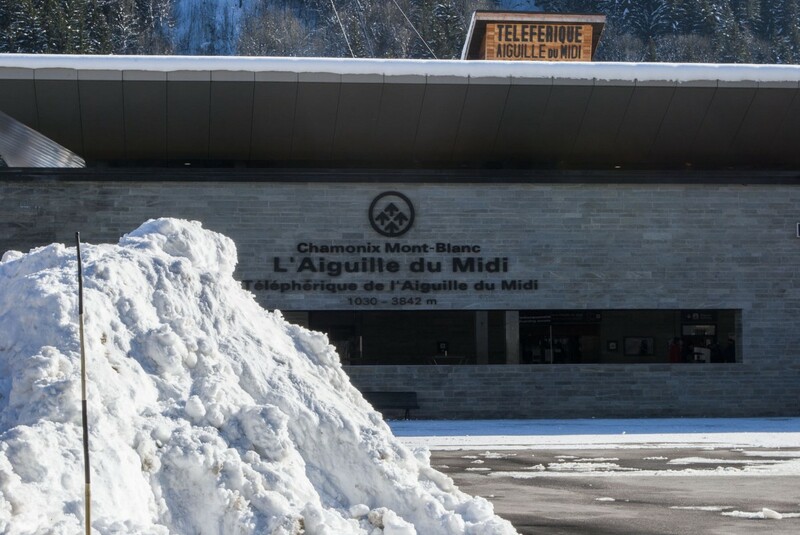 At the next day of my stay in Aosta I decided to visit Chamonix and Aiguille du Midi. 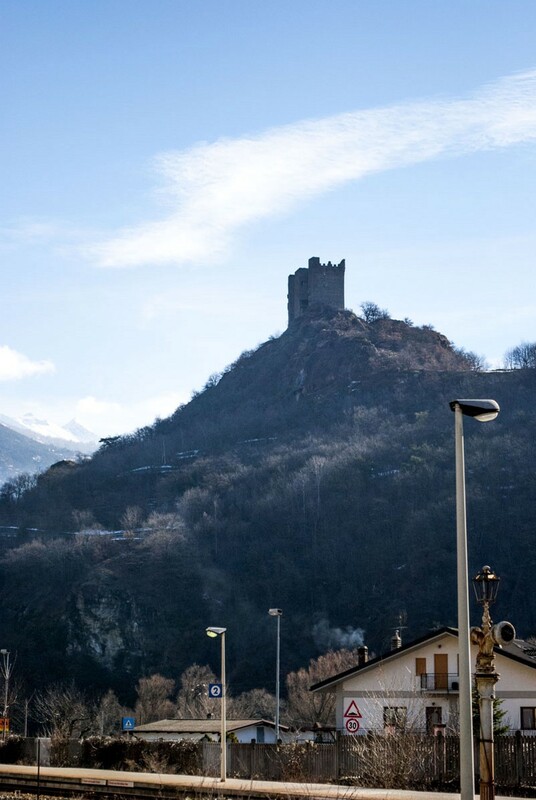 The way from Aosta to Chamonix goes through the beautiful place and from the bus window you can see the Saint Pierre Castle. It’s a late 12th century castle. 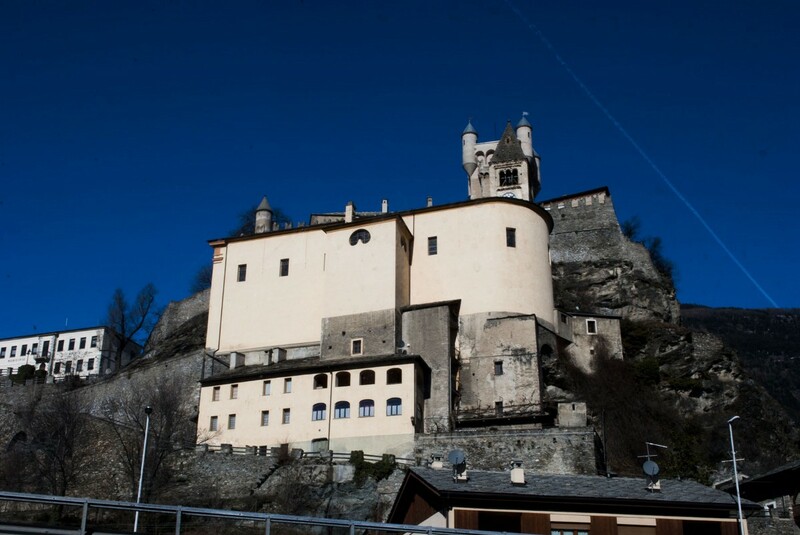 Also you can saw Sarre Royal Castle. 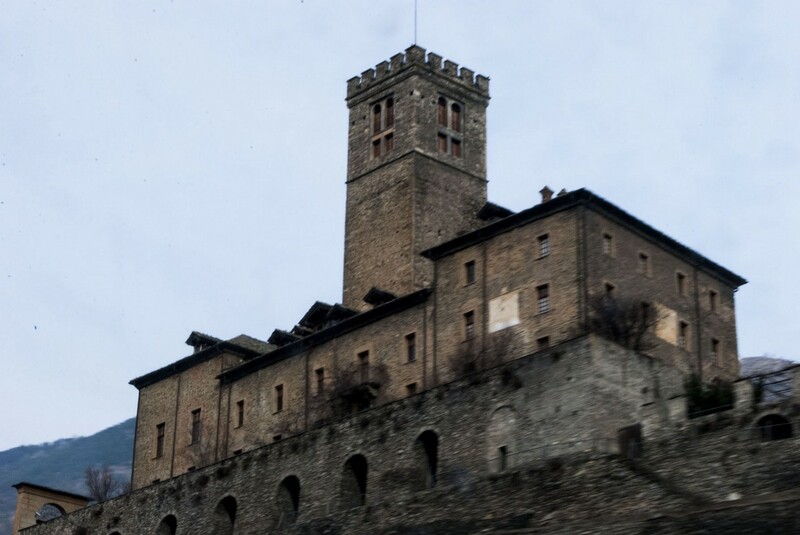 Built in 1710 on the ruins of a fortress mentioned as early as 1242, having passed through various hands, the property was purchased by the King of Italy Victor Emanuel II, who renovated it and used it during hunting expeditions in Val d’Aosta. 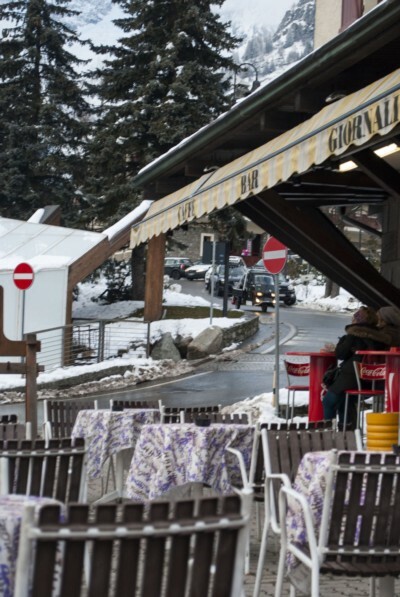 There is no direct bus from Aosta to Chamonix. 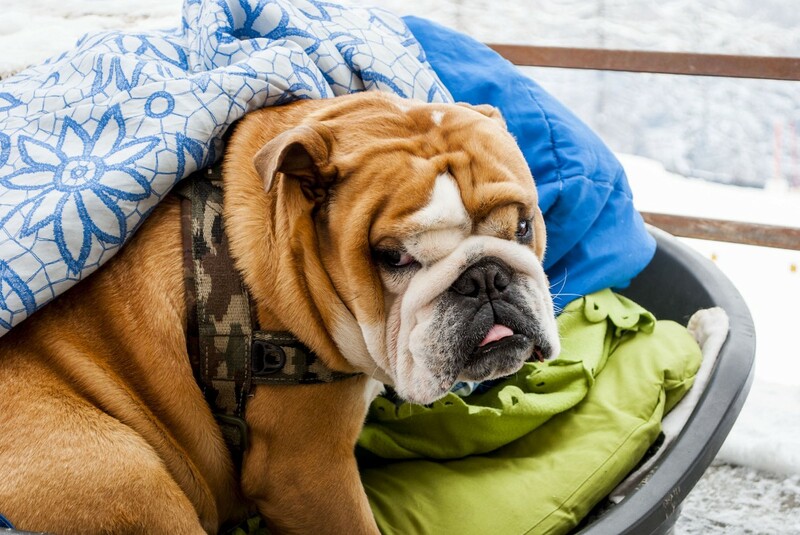 You have to change the bus in Courmayer. 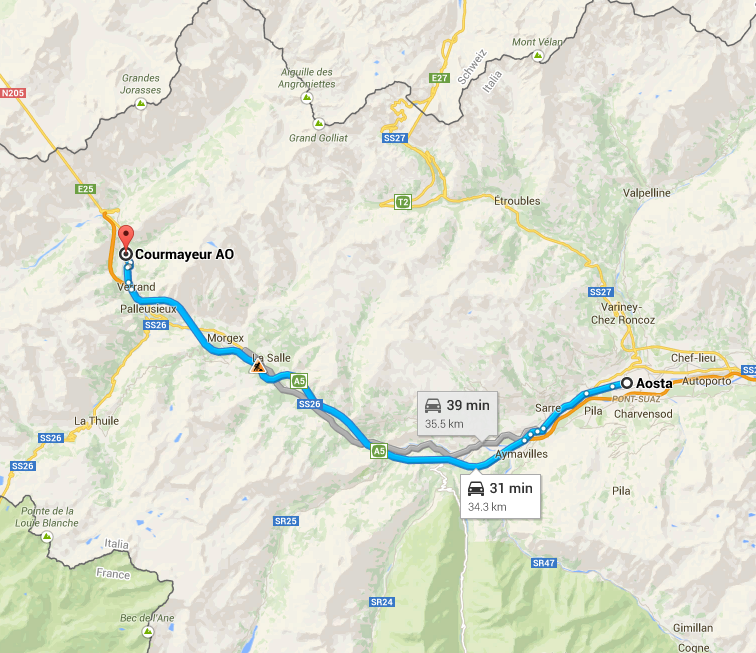 It takes about 1,5 hours to take to Aosta. 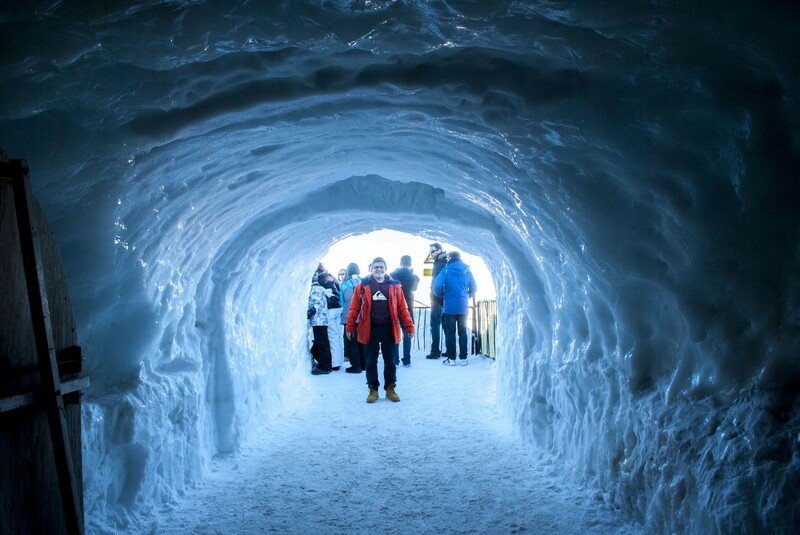 The beautiful road goes under the Mont Blanc through an 11km tunnel. 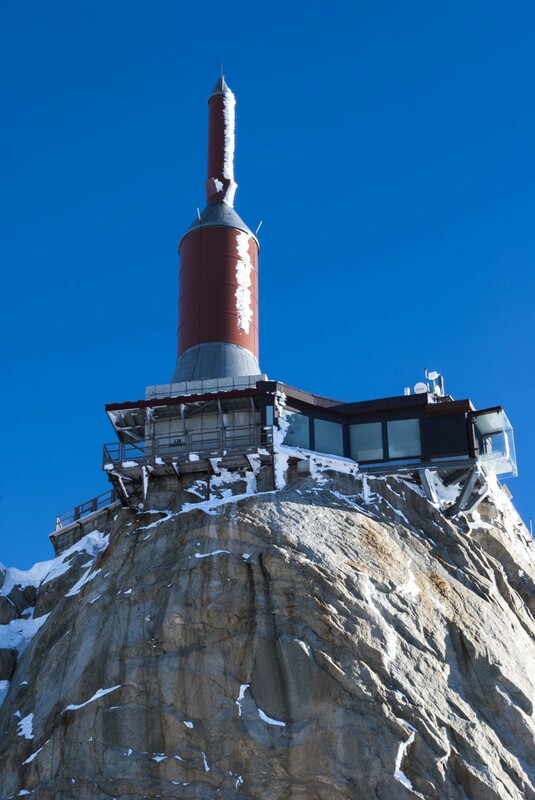 The main aim of the visit the Chamonix is to see the Aiguille du midi and the “Step into the void” at the 3777m. 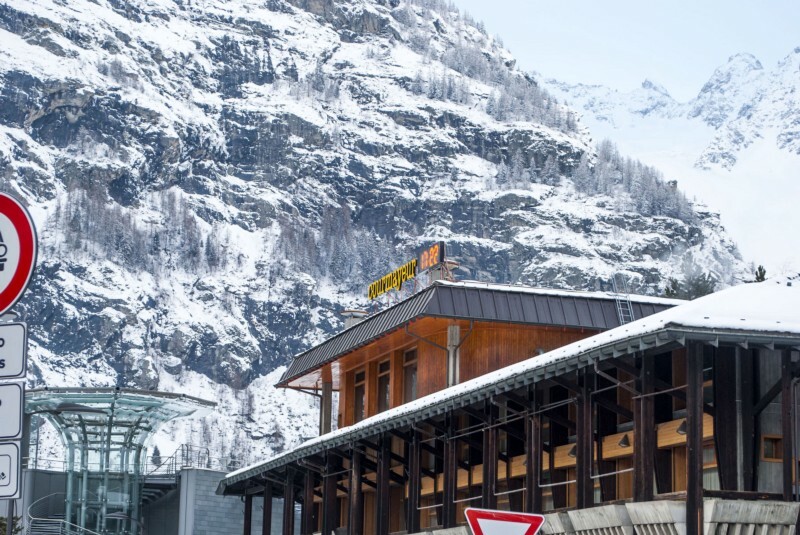 On the way from the Chamonix bus station to the ropeway you can find pretty old cabin. Here it is. I went to the ticket-office and find some “surprises”. First?—?“Step in to the void” does not work. It’s on the reconsturction till the Aprill 2015. Second?—?cost of the round trip to the top and down is 57 euro. Third?—?I will have only 30 minutes on the top becouse it’s already too late. It all does not matter ?. I’ve already done rather long way to get to this place. And after 20 minutes I was at the top?—?3777m. On this place I can spend really long time. It’s unbelievable beauty of the mountains. But the time keeps going and I have to harry up. On this height you can feel some lack of oxygen and fast moving from one viewing platform from the downstairs to another upstairs can be a little difficult. 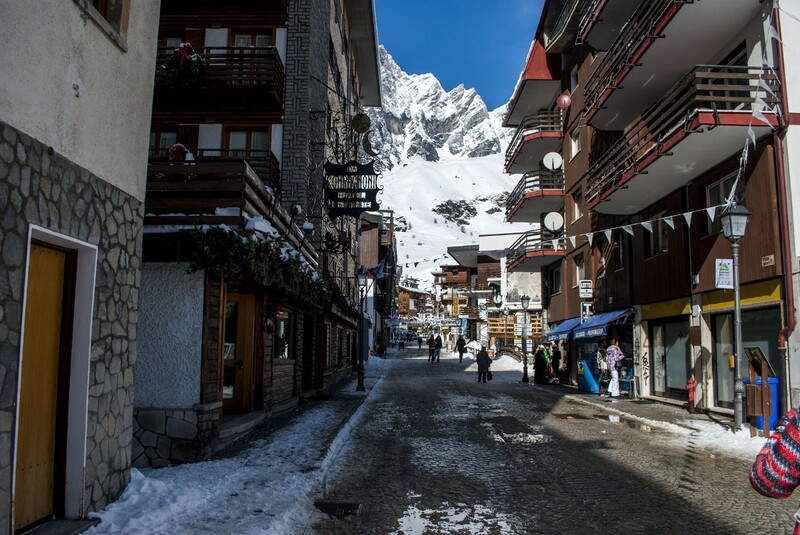 You can drink some water to prevent mountain sickness attacks and go. On the photo bellow at the right part you can see the cabin made of glass. 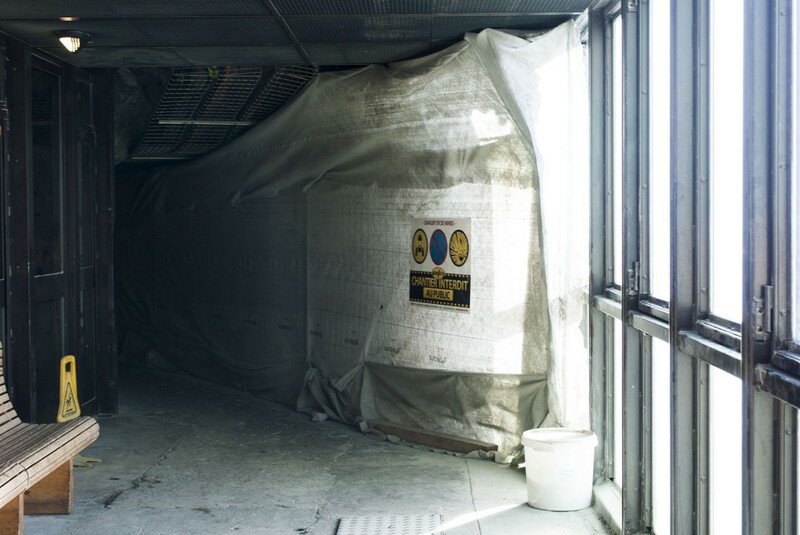 This is the “Step into the void”. But at the moment of my visit it was impossible to see ?. On the way down you can see the panoramic view on Chamonix. 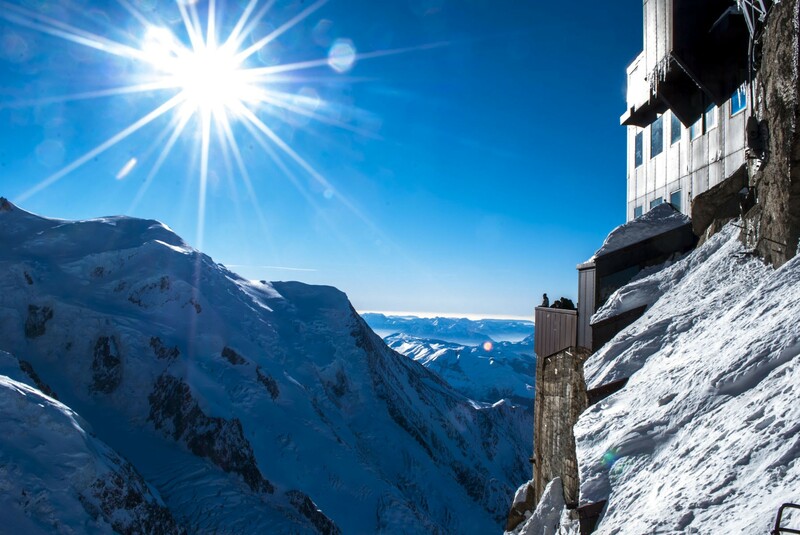 The right peak at the photo bellow is the viewing Aiguille du midi. 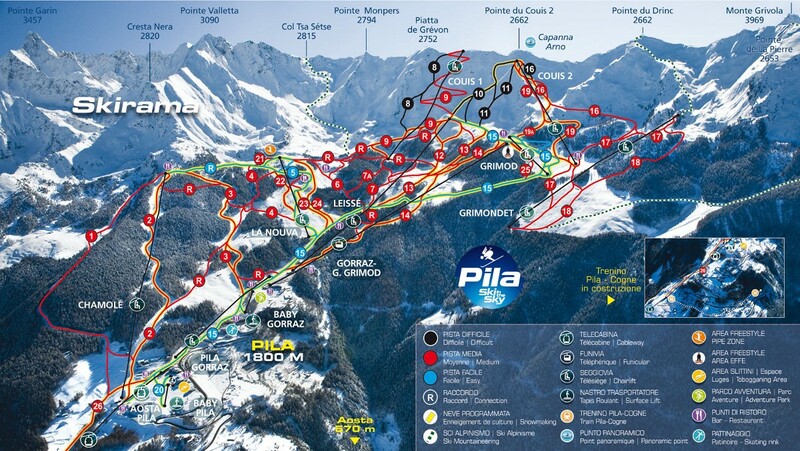 Pila is a good place for snowboarding. So in this place I spent 5 days. 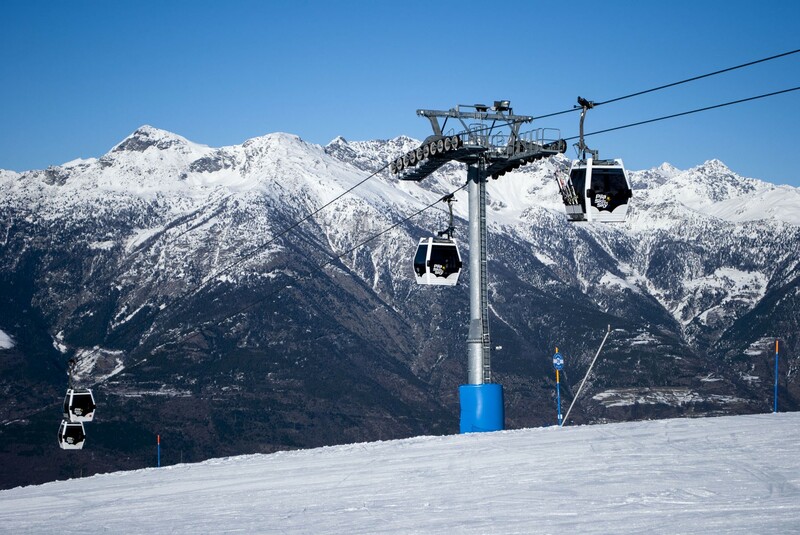 Form Aosta to Pila you can get by the ropeway. It takes about 15 minutes. 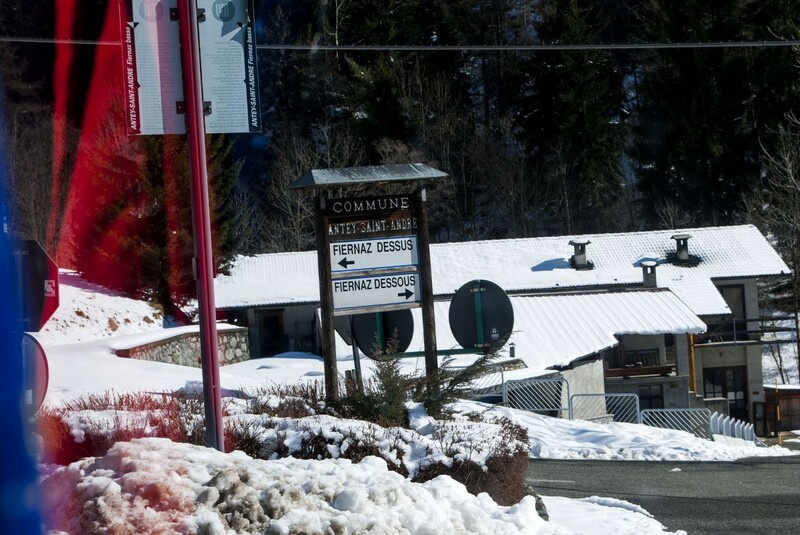 You can take the skipass for 6 consecutive days. 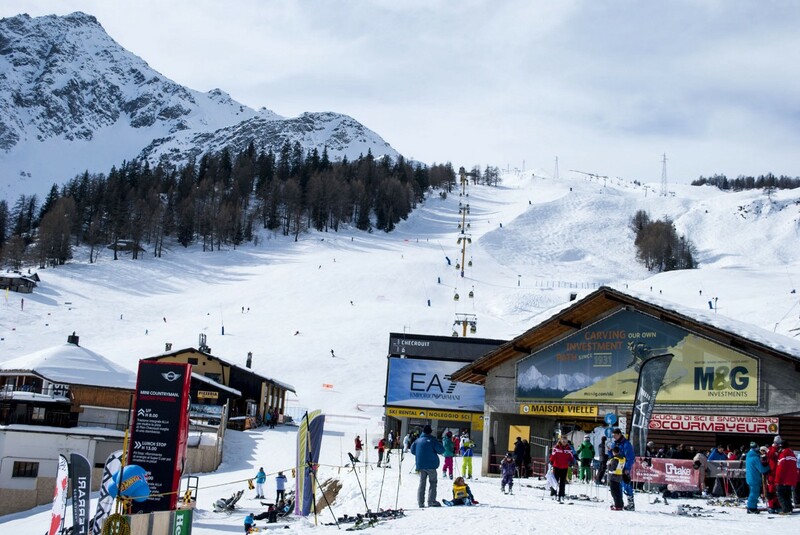 In this skipass you will have 2 days to ski in any ski area of Aosta Valley. It’s good choice if you do not want to seat at one place and want to see the difference. 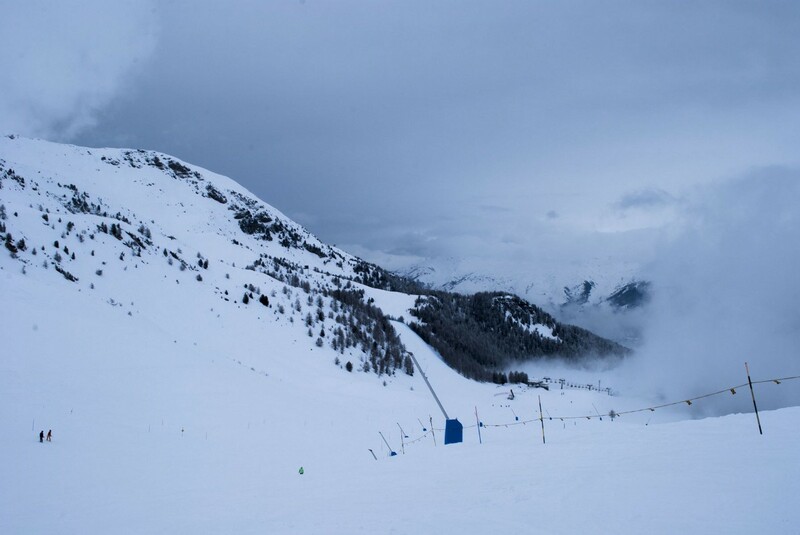 In some days Pila was rather foggy but still was perfect. 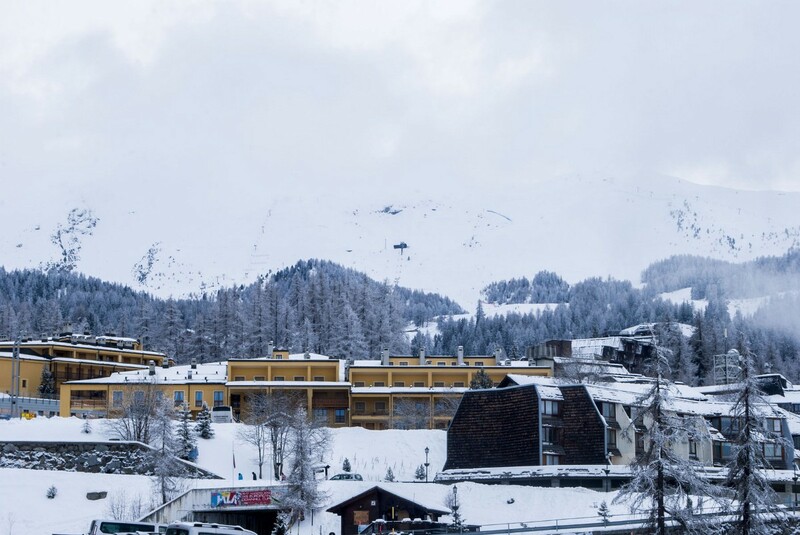 The main part of the slopes in Pila is red. So it will be more intersting place for skilled tiders. 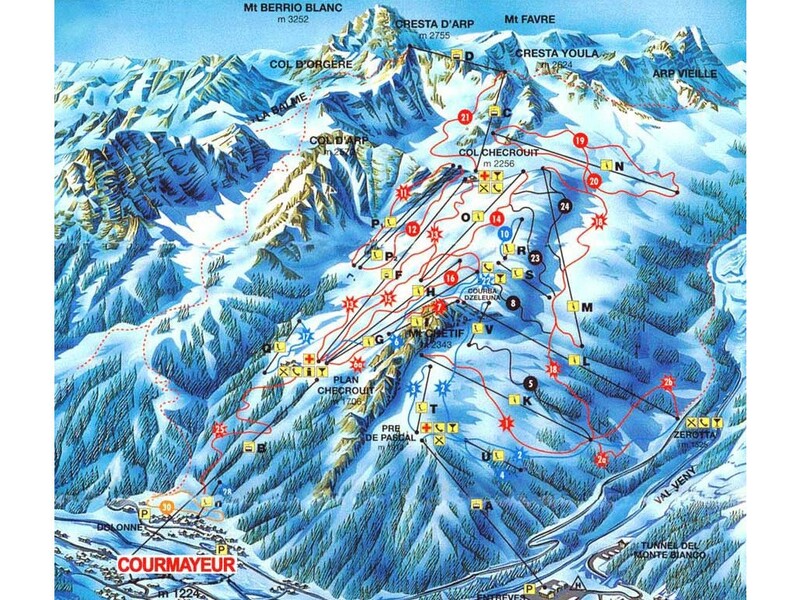 Also there are lots places for the freeride. 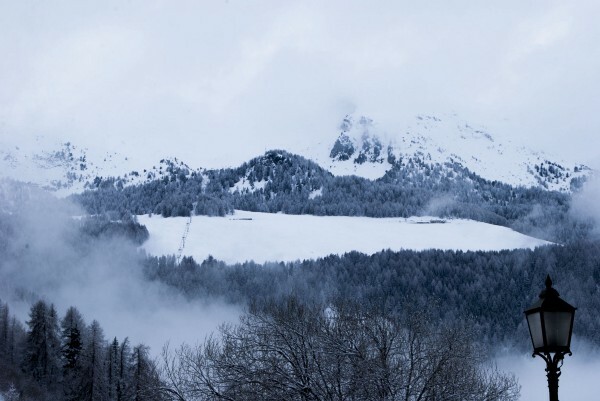 It was interesting to snowboard when at the begging of the slope you can see everything, but after the turn you meet fog and can see almost nothing. 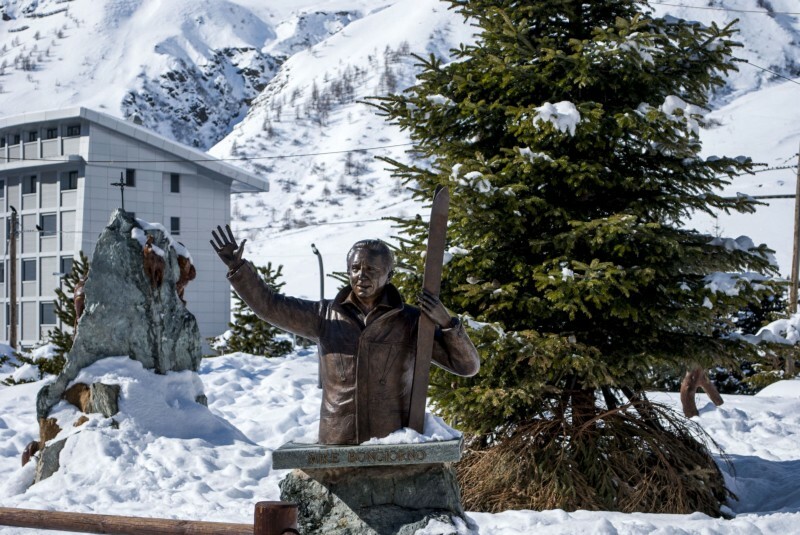 One of the excellent point of the Italian ski resorts is they can bring the civilization on the slopes. 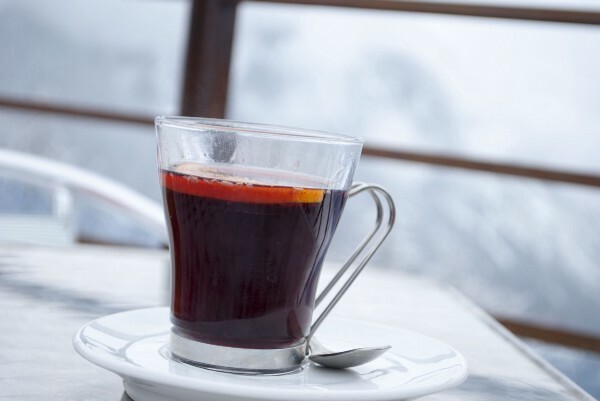 At almost highest peak you can find the restaurant and relax in the chair with a cup of espresso. They called espresso?—?coffee. When you ask the waiter to bring “americano” do not be surprised if he bring you normal coffee-espresso and a glass of water. He just do not want to spoil the good coffee ?. Also at the restaurant you can find WI-FI. Most of all I’ve ride at 13th and 14th slopes. 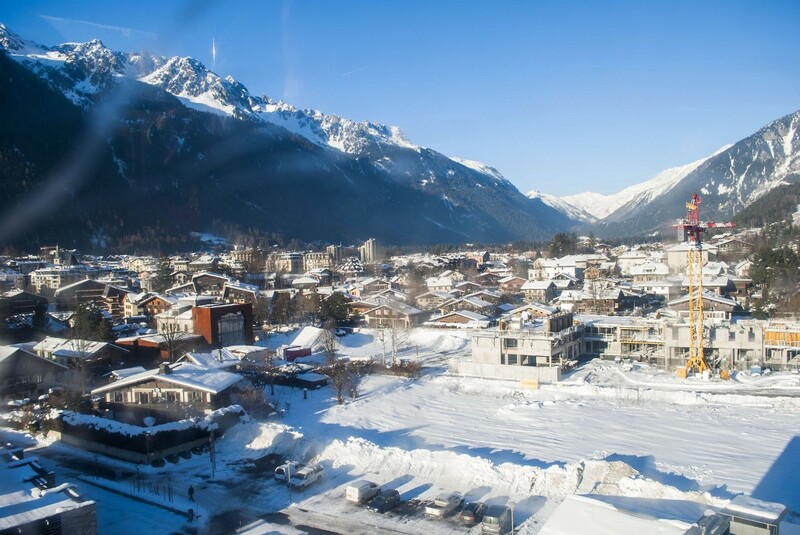 In 2014 I’ve been in Courmayer and at this trip very want to see it again. 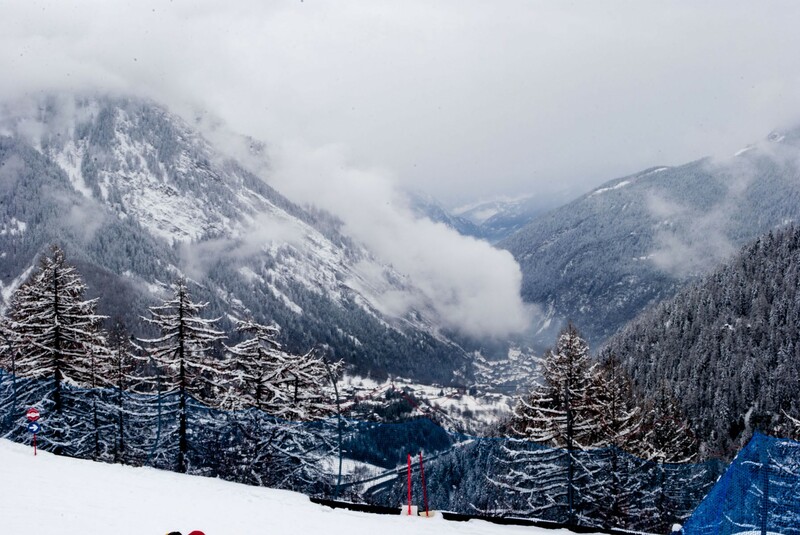 The slopes in Courmayeur are a little bit easier than in Pila. Most of all I ride 16th, 15th and also tried 13th. 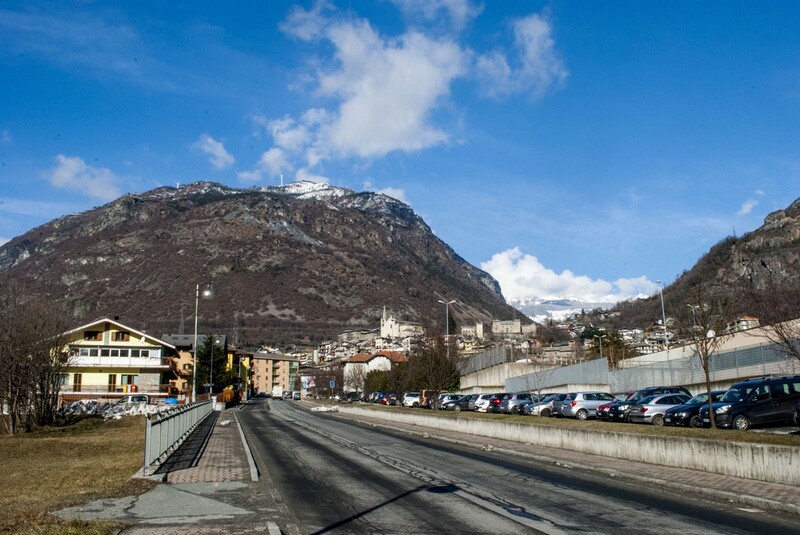 But landscape which you can see during the ride for me is better in Courmayer, than in Pila. 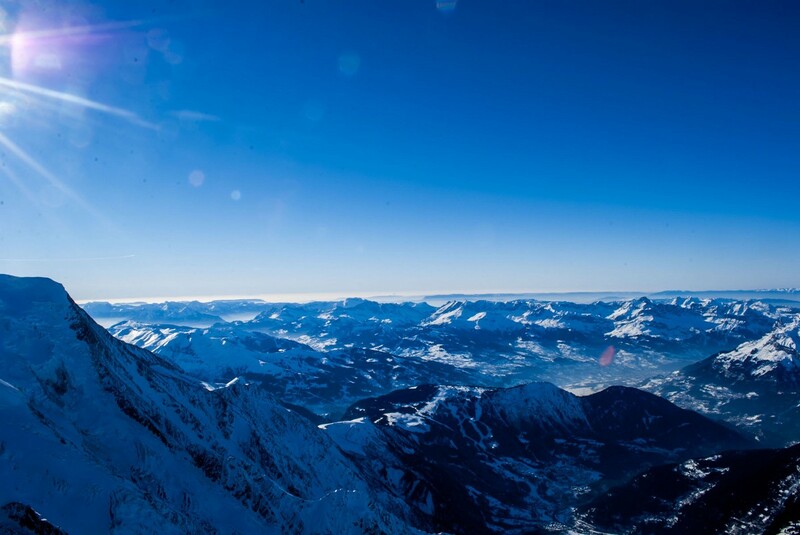 For example from the start of the 15th slope you can will have good view on Mont Blanc. 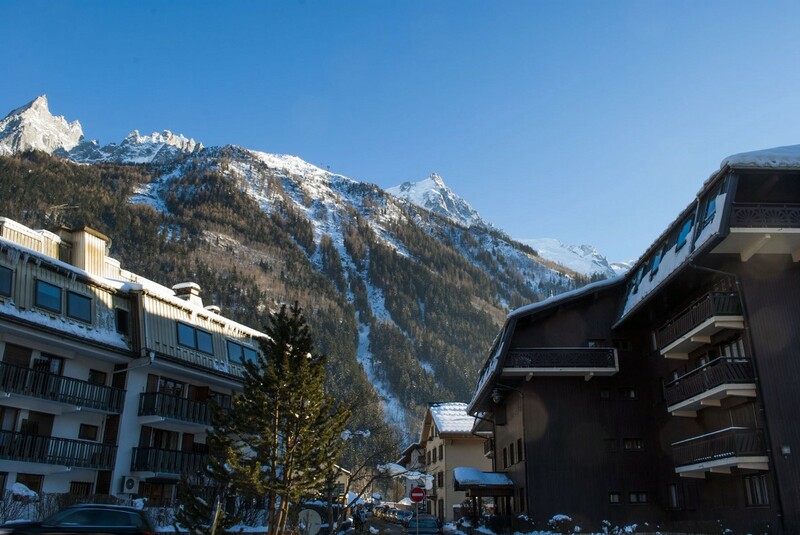 The price for rent a snowboard per day is 20 euro. In Pila it was 11 euro. The quality of the equipment is ok, but it’s not new. And on the small cafe I met my old friend from the previous trip. He was at the same place and it seems that he did not move from here during one year =). 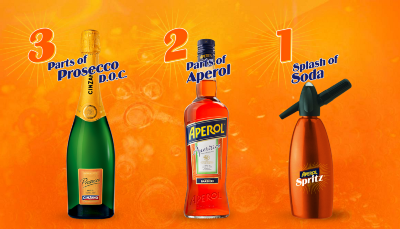 In the evening at the next day I also come to Courmayer for Spritz-Aperol party. 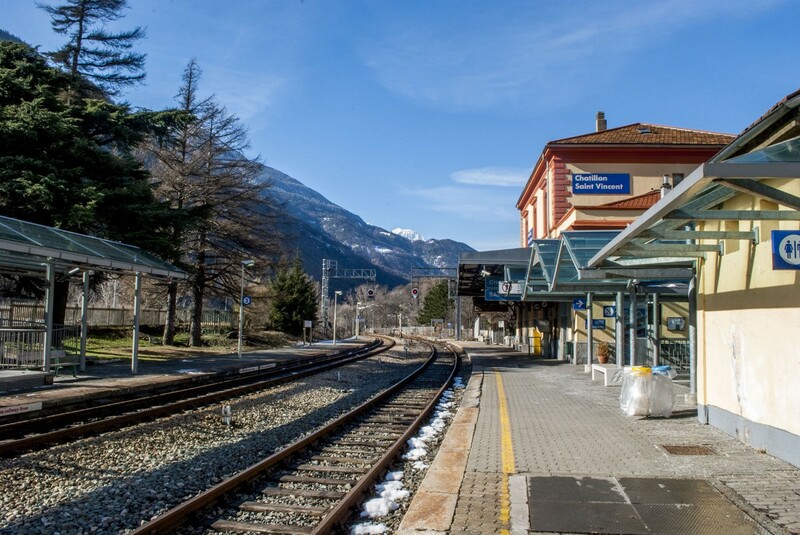 The Savda bus stop is right near the railway station, so it’s very comfortable. 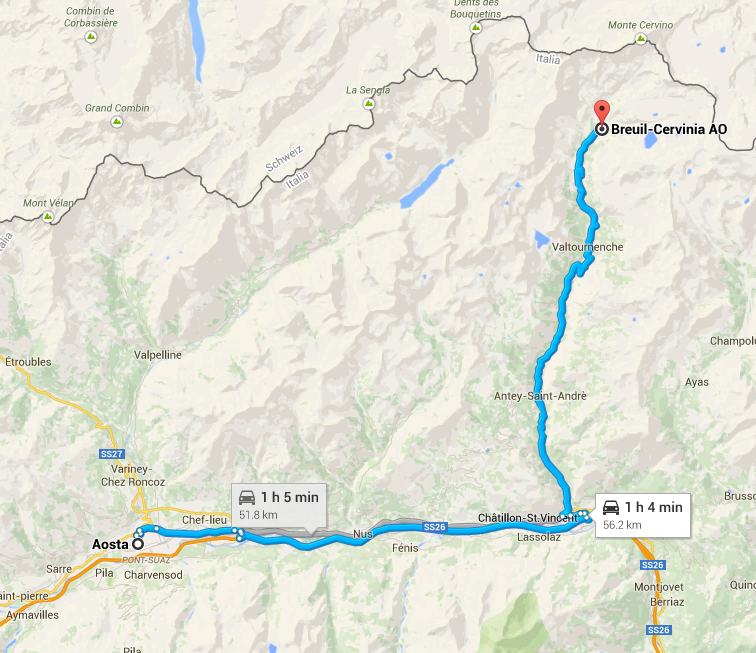 For sure the direct bus from Aosta to Cervinia will be better ?. 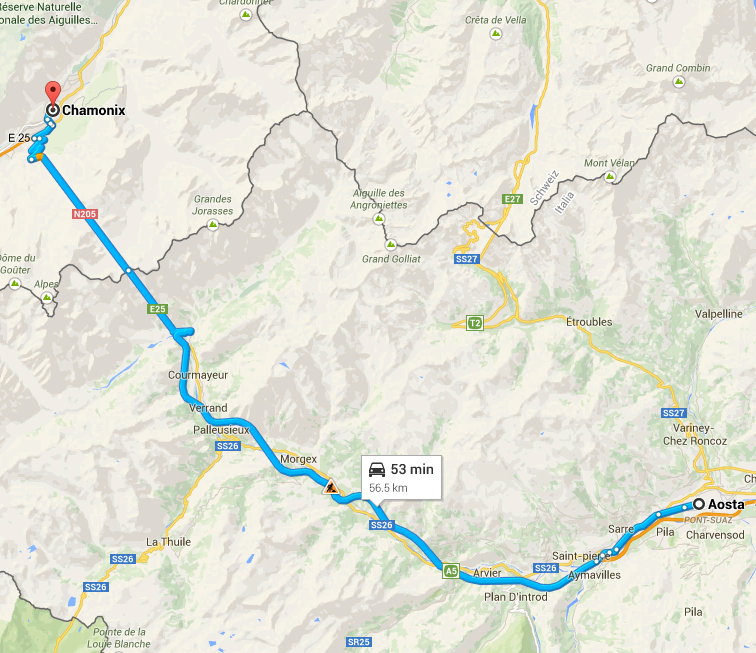 The road from Chatilion to Cervinia is fantastic. 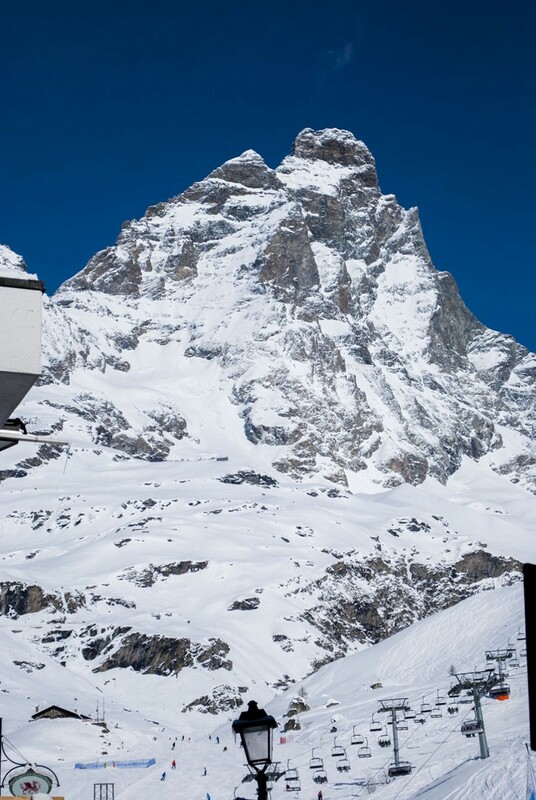 And then I saw Matterhorn. Looks like the cat is one of goods, but he is real cat. Look around may be he seat somewhere behind you. 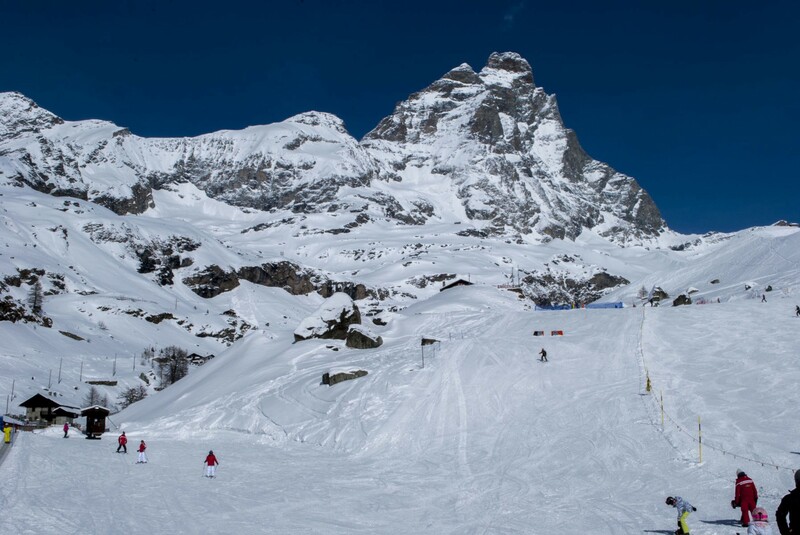 The Cervinia is more expensive than Courmayer but also is more beautiful. 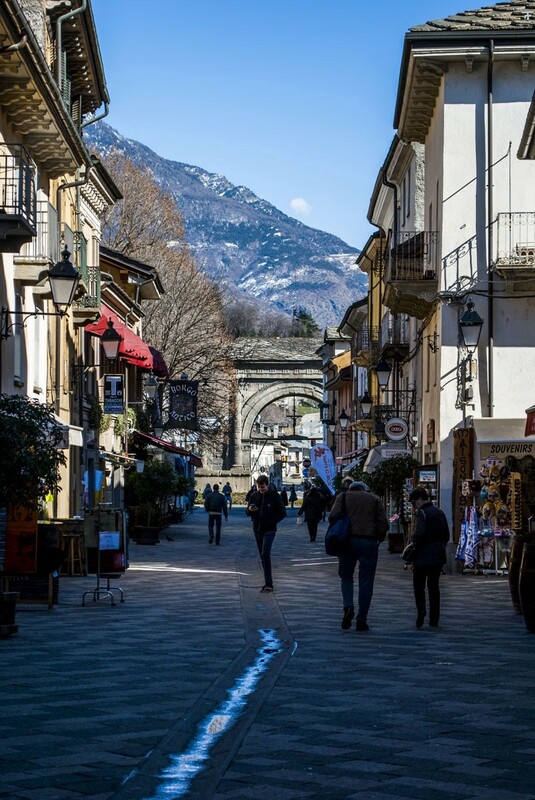 This is the main pedestrian street of Aosta. Here you can find really good wine shops and restaurants. One the best restaurants is Aldente. In the end of the street you will find Arch of Augustus. ?????????????? ??????????? ?? ???????? ? ???? ??????? ?? ??????????? ?????? ??????. ????????????? ?? ????? ?? ???? ?????? ??????????? ????? ???? ?, ?????? ??? ??? ???????? ?????????????? ?? ??????? ???????????. ??????????? ???????????? ? ??????? ?? ????? ???????? ?? ??????????? ??? ????. 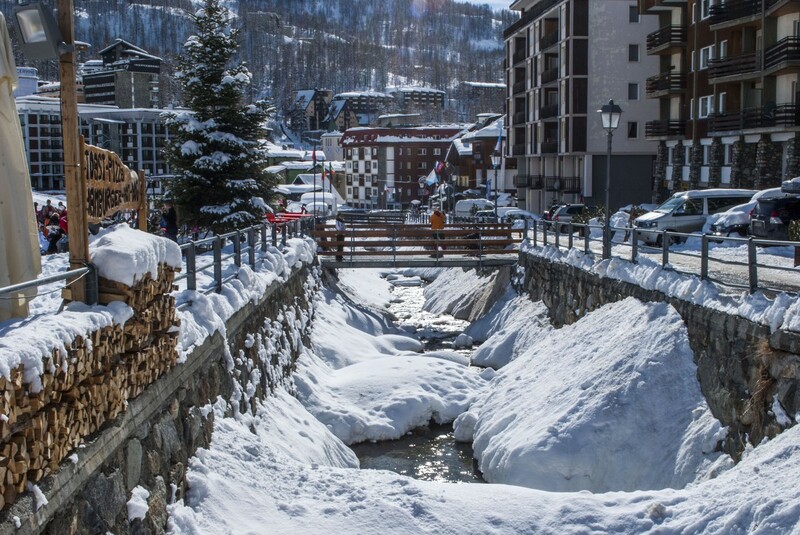 For centuries the Thermal Springs in Pr Saint Didier and Thermal Springs in Saint Vincent have been celebrated for their relaxing mineral properties, helping ease both body and mind to weary travelers. Restore your energy in the therapeutic waters, and then re-invigorate your body with the help of a regenerating hydro massage in this center of remise en forme. The mountain bike on snow. With lamps placed on the forehead, cycling in the magic of the nightand the silence is broken only by the crunch of the wheels. ?????? ????????? ????????????? ?????????? ??? ??????? ?? ?????. ?? ??????????? ? ????? ??? ?, ??????? ???? ???? ???????? ?????????, ? ???? ????? ????? ??? ???????? ??????? ?????????? ??? ????? ?.